Laura Sinnott and her husband Tom have been running the familiy business since 2008. At the 2015 Blas na hEireann awards they were awared Best in Wexford, as sponsored by Wexford LEO and also won a Bronze award for their Simply Better Irish Raspberry Coulis. had started the business in 1988 but at retirement age had decided to sell up. I have a background in Hotel & Catering and Tom a background in Supermarkets so we seized this opportunity and bought the business. I have several go to well used recipe books I go to for inspiration; Nigella is my number one for something luxurious, decadent and delicious. If I want to impress with a show-stopping dinner I go between Kevin Dundon and Nevin Mc Guire. I love being able to create new products and ranges. I have been dealing with people all of my life working in Hotels and I love this, being out and about doing tastings and talking to our customers gives me great satisfaction. Being our own bosses is a major plus as well having two very small children it means we can be flexible to suit their needs. We get to work together; some people may see this as a negative but not us. A typical day includes being up and out the door by 8.30, drop Robbie and Lila to Crèche and in work by 9. Then it varies, as an entrepreneur you need to do whatever needs to be done really, from deliveries to packing product, new product development and generally managing the day to day running of the business. We work long hours and I must say the business is never far from your mind but we have a rule to take weekends off, this was drilled into us from Ellen, and it’s a good rule to keep because if you let it your business will take up all of your time. I love that part of the day when the kitchen has been cleaned down, lights are being turned off and everyone saying goodbye until tomorrow, you can look back on the day and think that was a great day look how much we achieved. 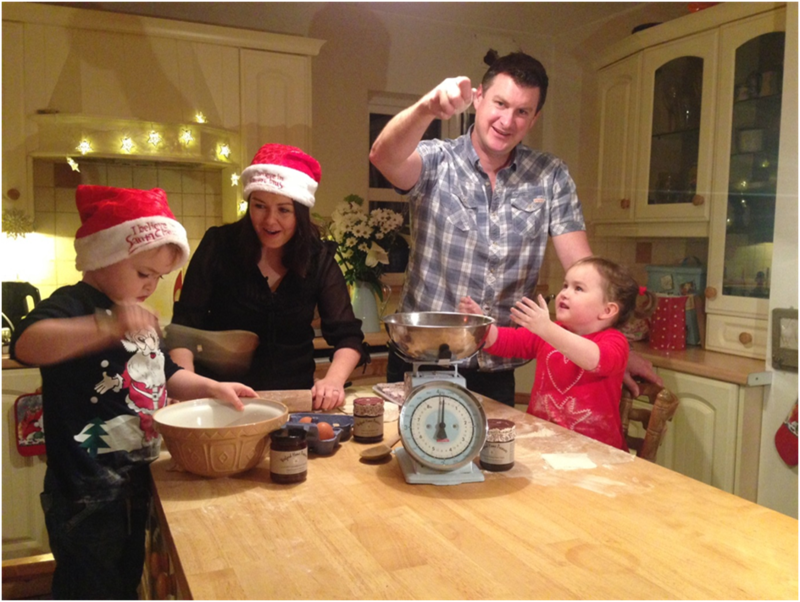 Aside from the birth of our two children Lila  and Robbie … The best day since we started has to be the launch of our new premises in 2013, we moved to a bigger premises with a customised kitchen, this was due to demand for our products. It was a great sense of achievement and excitement of what was to come, and it was the best move we ever made. We like the ingredients we use in our products to be local [down the road] ingredients. 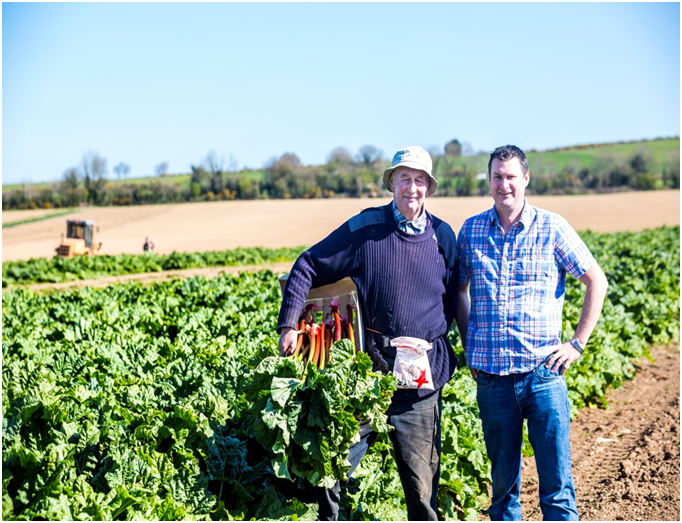 And we have been successful in sourcing almost all of our ingredients of such incredible quality from our local growers. We can now label our products Wexford Strawberry Jam, Wexford Blackcurrant Jam, Wexford Blackberry & Apple Jam, Wexford Rhubarb & Ginger … and the list goes on. We have a great team of people who we work with in Wexford Home Preserves and without them we wouldn’t be where we are today. Everyone who works with us cares about what we do and this has to be the most important thing. I think the key to success is to never stop caring about your products; you have to have a passion for what you do. We strive to be the best at what we do. Has there ever been one single moment which has changed how you look at your business? Yes when we decided to take on a marketing expert, Paula Ronan from Ronan Marketing. This has benefited our business hugely. Has there ever been a situation which started out as a negative but turned out for the best? 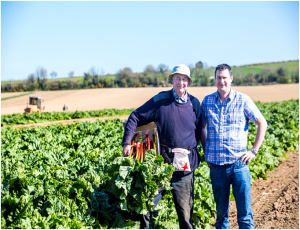 When we first started our business we found it difficult to source local fruit, but now we are engaging with our local growers and they can supply us with a high quality product and this has turned out to be very beneficial to our business and promoting local. How are you preparing for Christmas at work? Retailers start talking about Christmas in June! We have been preparing for Christmas since September and we are now nearly over that mad period. It’s crazy busy but it’s a great feeling, adrenalin is pumping and we know that on the 18th of December we will be locking the doors and going home to enjoy Christmas with our families and friends after accomplishing yet another great year in business. What food really represents Christmas to you? I love all things Christmas. I especially love making puddings and Christmas cake, the smell in the house is divine. I also love brussel sprouts par boiled and then finished off in the pan with a knob of butter and little pieces of bacon, salt and pepper. My Mam makes the best pavlova and we have this after Christmas dinner every year, this, and enjoying food with my family and friends makes a great Christmas.